SCAPE has released photos of the newly completed and opened Midtown Center Plaza in Washington D.C. 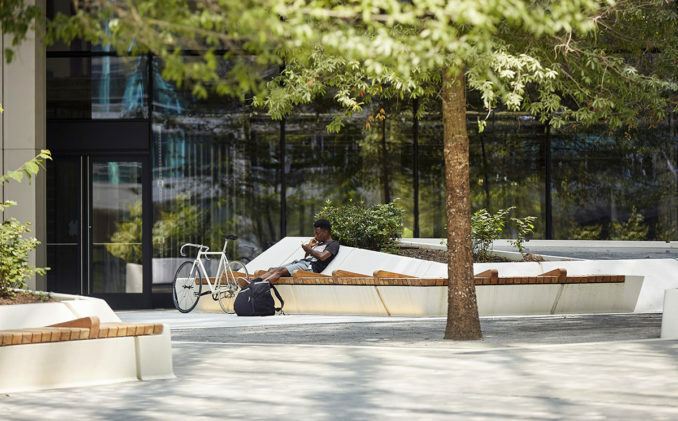 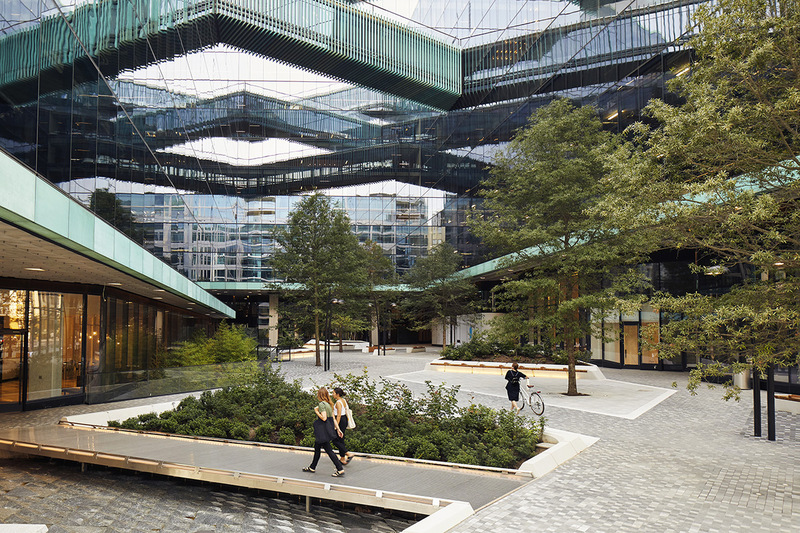 The Midtown Center Plaza, part of Carr Properties’ Midtown Center mixed-use project, activates the urban fabric of downtown Washington, D.C., introducing a 15,000 square foot public plaza and cross-block connection into the dense and built up environment of the center city. 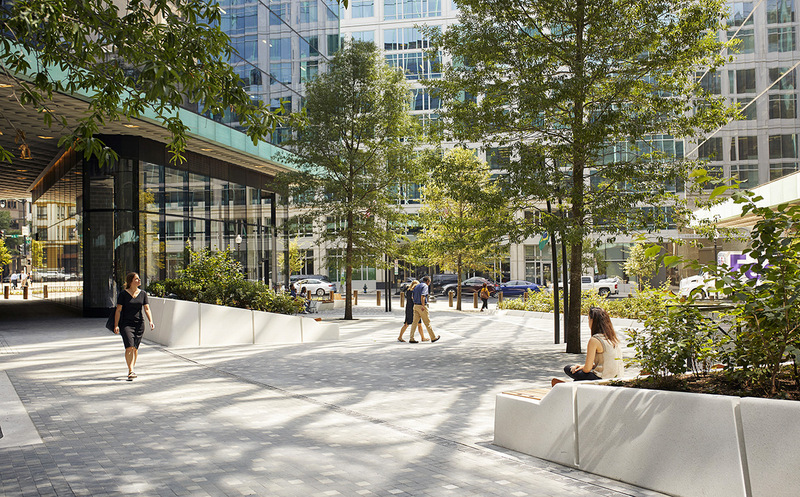 Located at the corner of 15th Street NW and L Street NW, diagonal paths recall the L’Enfant Plan for Washington, D.C. that connect and pull visitors into the central plaza along direct pedestrian routes. 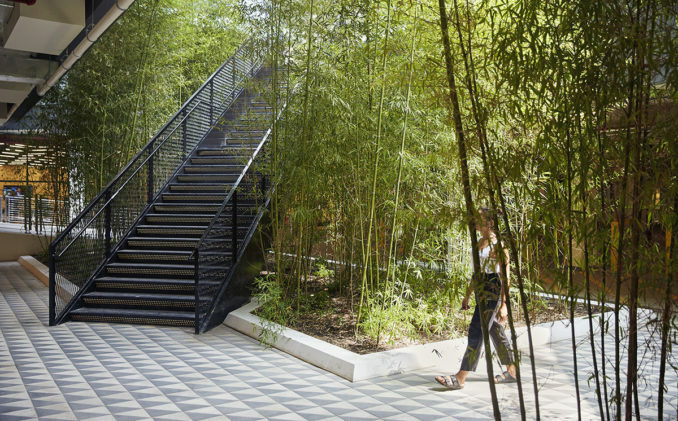 Inside the plaza, sculptural forms emerge from the diagonals and host shrub plantings that bloom in a changing spectrum of colors throughout the spring, summer, and early fall. 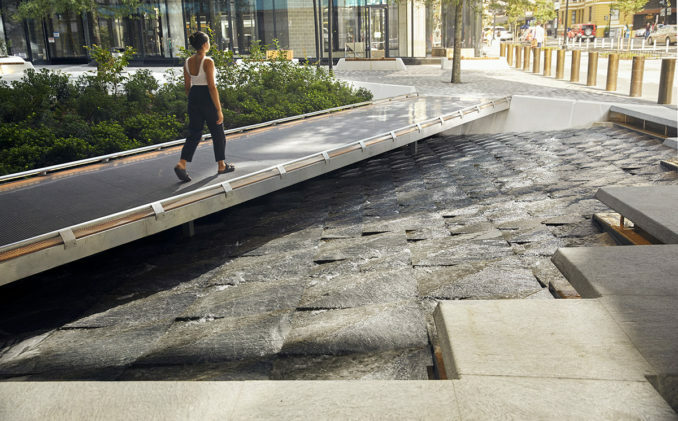 A sunken granite fountain creates a cooling and immersive entrance to the building lobby on L street, reflecting light from the patterned soffit above. 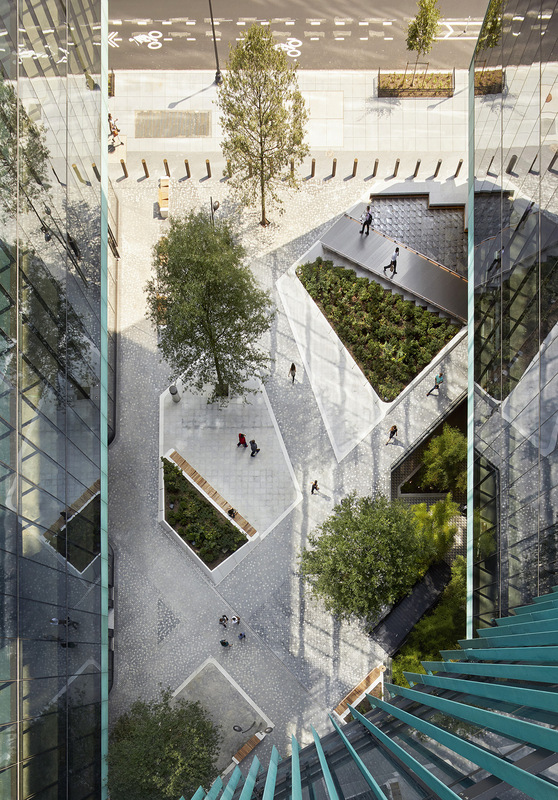 When seen from the roof terrace, the plaza and paths reflect the radiating urban geometry of Washington D.C. in miniature. 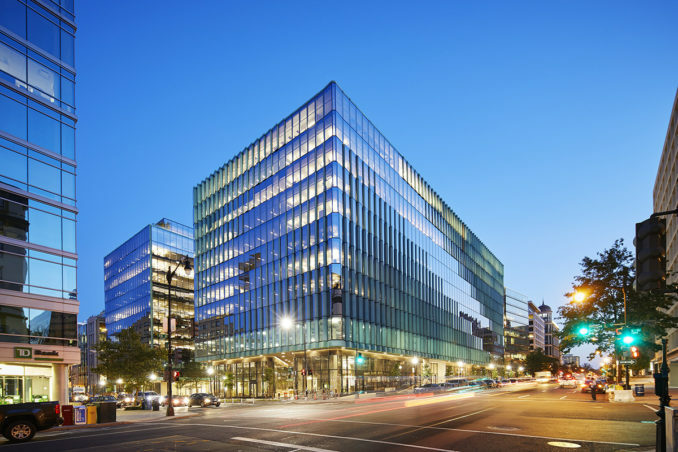 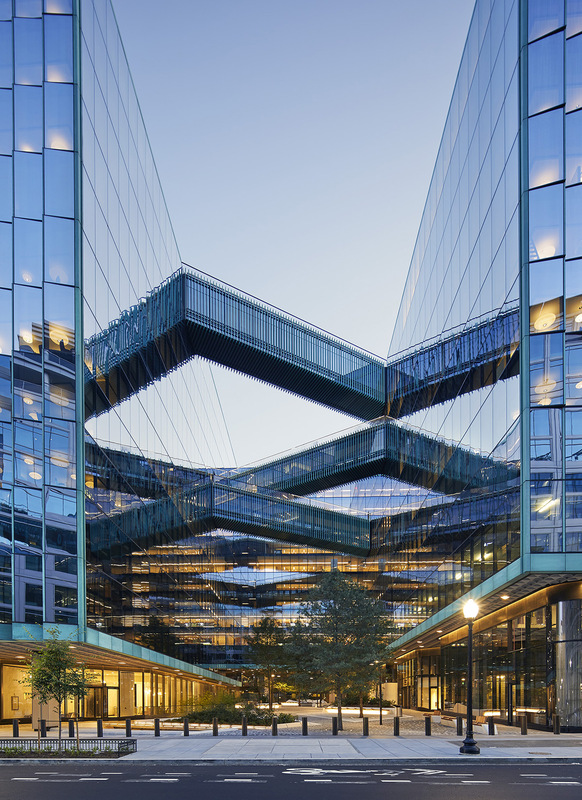 A collaboration with SHoP and WDG architects, the new Carr Properties development replaces the old Washington Post headquarters and houses a new headquarters for Fannie Mae. 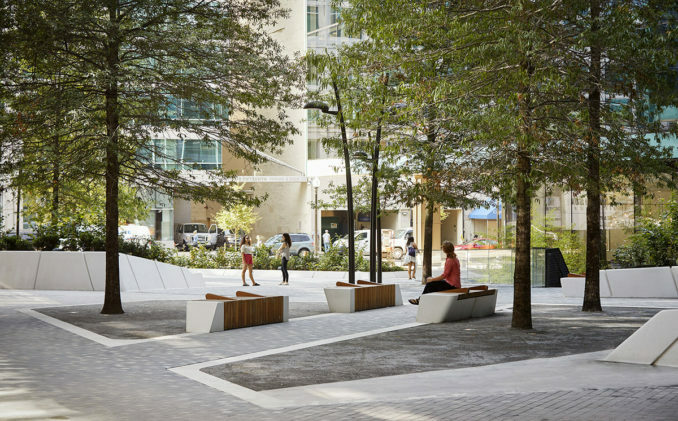 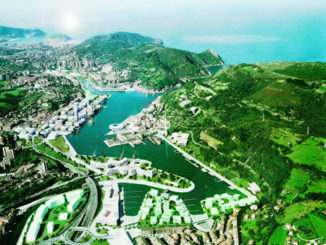 In addition to the public plaza, the design incorporates 28,000 square feet of terraces and a 16,000 square feet extensive green roof that enhance the local environment and contribute to an active downtown.